When you are new to poker, it is always nice to start off on the right foot. 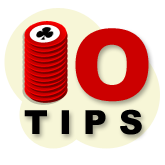 So, we compiled a list of Best tips for poker beginners, which will help you learn the game and enjoy it right from the start. Naturally, the first thing you have to do when starting out in any new game is learn the rules. Missing this step would not be very smart, and even if you think you know most of it, just making sure is always a good idea. Therefore, you should concentrate on learning Texas Hold’em poker rules and poker hands rankings if this will be your main game as you start out. It will help you to be confident in every spot and always know in advance what is coming next. This is one of the most important things in the beginning, and it can help you more than you think. As a beginner, you have to realize your goal is to learn, not to win money. Obviously, it would be nice to win, but it is difficult to expect that you will be making money from Day 1. Thus, starting at smaller stakes will give you additional confidence and motivation to learn. By not risking too much money, you can concentrate on learning the game. Moreover, at higher stakes, you will encounter stronger players and just burn through your bankroll. Just as I mentioned before, you should concentrate on learning the game and some advanced strategies instead of trying to grind. I can almost guarantee that you will miss a lot of valuable information if you start playing many tables at once. Therefore, try to concentrate on quality, not quantity, and you will be learning the game and improving your strategy much faster. This point flows naturally from the last one. If you stick to playing one table, you will have much more time to make decisions, and that is a huge benefit in the beginning. Remember, you need to take into consideration your position, opening hands, the action that happened already, possible holdings of your opponents and much more. It can be overwhelming at first, so try to take enough time and think it through. This is common advice, but entirely correct. You should not start playing many weak hands if you are new to the game. Instead, play stronger holdings, but concentrate on playing them aggressively and putting pressure on your opponents. The vast majority of players at small stakes will be playing too many weak hands, and you will instantly get a better part of it by playing more premium holdings. Moreover, it will help you learn poker strategy and build your bankroll at the same time, which should be your goal. It is imperative to learn when to fold your marginal holdings. 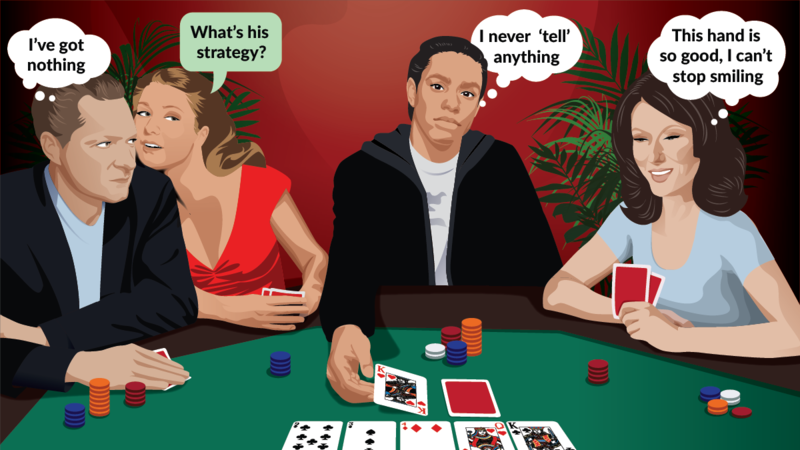 Most of your competition will be passive players who play many hands, but not in an aggressive manner. You have to learn to distinguish between these players, but most of the time, folding marginal hands versus big raises on the river will be the best option. Your best strategy in these games is to play straightforwardly. If we agree that you are going to encounter passive competition most of the time, bluffing becomes irrelevant. These players are simply not looking to fold, and you will be just wasting money trying to reach that. Instead, concentrate on value betting weaker hands and remember to fold them when facing a raise. Poker is a math game, thus, learning poker odds and probabilities are essential. You should always know when you can call facing a draw and how to determine if you are getting a good price for it. You should be aware that you have eight outs to improve to a straight when holding an open-ended straight draw, and roughly a 16% chance to hit it on the next card. Knowing the math will help you make more educated and correct decisions, which will help you win more. If you are playing online, you should not miss the opportunities and extra edge that you can get from poker software. Tracking programs like Hold’em Manager 2 or Poker Tracker 4 are crucial for success, and will give you many advantages over your competition. You will be able to track your stats, see what mistakes you are making and, most importantly, notice how to exploit your opponents. I gathered a list of the best poker tools and software, which I use myself to gain an additional edge and if you want to improve, I highly recommend checking it out. Probably the most important thing is to keep learning. Just like the saying “It takes a minute to learn and a lifetime to master” indicates, you can learn the rules very quickly, but will have to spend a lot of time improving and learning advanced strategies if you want to play at a higher level. Therefore, you should consider getting some poker coaching, reading strategy articles or poker blogs, and find the best way to learn poker strategy for you!